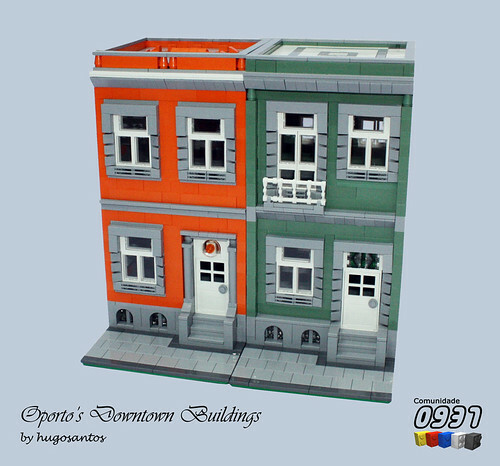 Brick Town Talk: Secondary Colors - LEGO Town, Architecture, Building Tips, Inspiration Ideas, and more! Oporto, Portugal - (BTT) This pair of buildings, each with their own little details, certainly livens up the street. Like a slice of cantaloupe next to honeydew, it reminds this writer of something sweet, not unlike the wine the city is famous for.